Ten Apples Up On Top STEM and More! I am happy to report that I am starting to figure things out with this new group of kiddos! Not only do I use their reading program Super Kids to tie in the characters of the reading program, I also find ways to have them using STEM activities to get them actively engaged. Here is what we packed into 30 minutes this week! 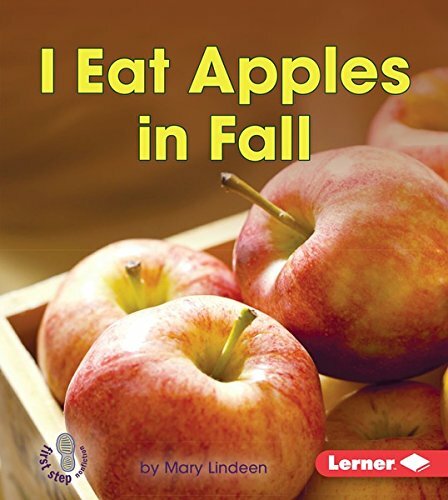 We started off with a short story from EPIC books called I Eat Apples In Fall written by Mary Lindeen. Great book for kinders! It works on shapes, colors, senses, property words in a very simple format! We then follow it up with this great song and video based on the book Ten Apples Up On Top! I am now singing it in my head at night after listening to it for five days in a row! Kids love it...I do, too! The kinders got up and we snapped and clapped. Then we used our fingers to show the amount of apples up on top! and the APPLES...the red pompoms in different sizes! I sent them to a table where the buckets were setting out and let them build! When they were finished they counted the apples up on top! Engineering and Math! When finished...I gave them about 10 minutes, we went back to the carpet for a senses activity. I showed them the different shapes of the apple by cutting the apple in half to show them the circle and star. I cut little pieces in the shape of triangles. 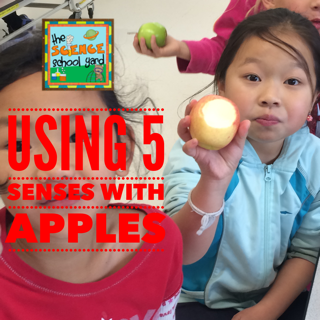 We then talked about our five senses. Not eating the apple slice yet...they shared what they smelled...saw...felt...and then I got them excited about being very quiet to listen to what an apple sounds like when we bite it! We then bit it and shared what we heard and what we tasted. I love when you ask how it tastes with suggestions such as sweet and tart and every time someone says it tastes like an APPLE! Time for a quick graph! Did you like the taste of the apple? We color and place our vote on the graph as we line up at the door. 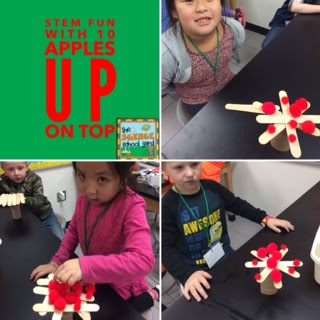 We count the apples up on top of each heading~ in 30 minutes you can really teach many different science concepts! Grab a freebie here! 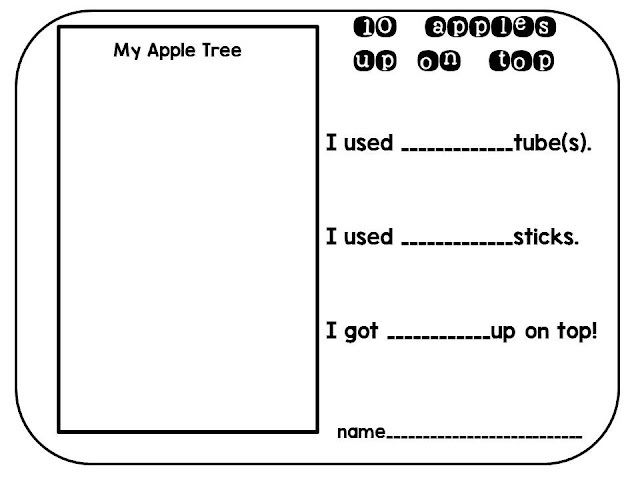 This lesson is pretty "apple"ing!